Steve Schulte, VP of Sales, welcomes all of the sales representatives to the meeting. Booked from start to finish, the sales reps did not have much free time. Day one began with a year-to-date update from CEO, Kevin Wilken. Wilken shared progress towards corporate goals for 2018, with a positive perspective on business for the first half of the year. 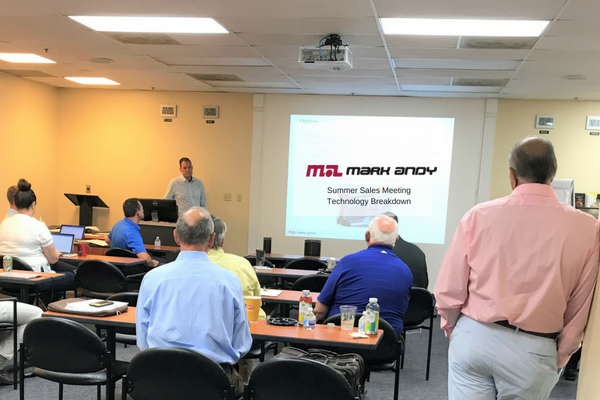 Next up, the sales team spent the bulk of the day in break out sessions learning about upcoming products for both Mark Andy and Rotoflex brands. 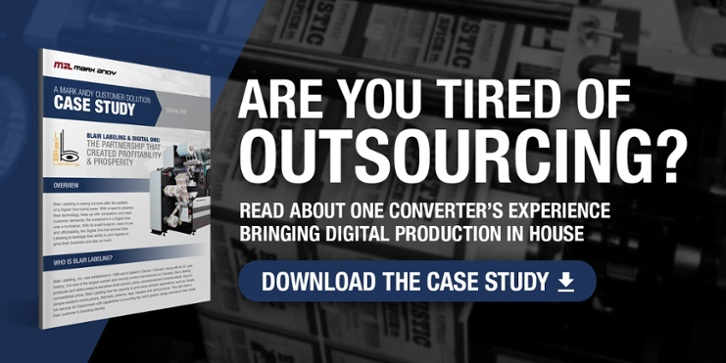 New advancements come in the shape of offline finishing solutions, new flexo presses, VDP and workflow offerings, and many more to increase converter efficiency. These new products introduced will join the newly launched Digital Series HD and the established Digital One on stand at Labelexpo Americas. Technical experts from our experienced Engineering team were on-hand to answer any questions, as well as provide product-specific presentations to fuel the team with the knowledge to best match these new and existing innovations to partner needs. On the second day the sales reps were able to walk through the new demo center and become more familiar with the upgraded and newly launched equipment. The demo center has been under construction for the past few months, with a forecast to open fully remodeled this week for an exclusive demo event that coincides with the 2018 PGA Tour, conveniently hosted in Saint Louis, MO. It will feature state-of-the art interactions to better serve the converter, as well as showcase live demonstrations of our current technology, such as the Performance Series P7 with Digital Plus Screen, Digital One and Digital Series HD. Jeff Cowan, Director of Business Development, educates the team on technology innovations. 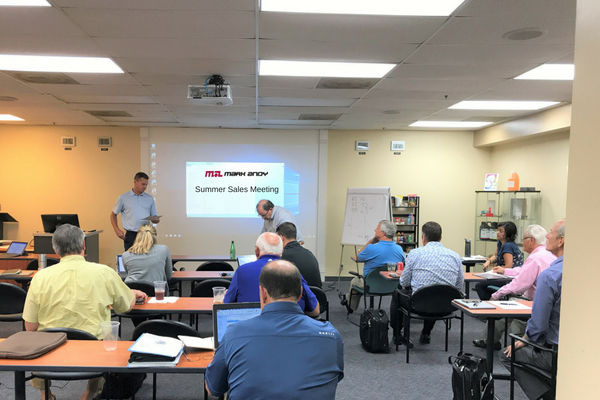 The meeting winded down with a presentation from Marketing, where the group was given the latest sales tool assets, as well as information on upcoming events. 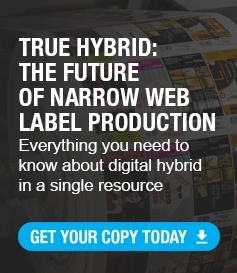 Events on the horizon include The Power of Hybrid Forum in Warsaw, Poland and Labelexpo Americas in Chicago. As industry veterans, our sales team is committed to constantly learning and developing their skill set in response to the ever-evolving label market. These meetings allow the representatives to connect with each other, as well as leadership, to discuss future strategy and educate themselves on all things Mark Andy. We are proud to have such dedicated team members and we look forward to meetings to come. If interested in setting up a consultation with one of our technical experts, please visit our website.